The story most people don’t know — that the Mona Lisa was stolen and missing for more than 2 years, will make its Chicago-area premiere tonight. Filmmaker Joe Medeiros learned that the iconic Leonardo DaVinci painting was stolen when he was 25 and spent the next 30 years trying to find out the motivation of the thief — a simple Italian immigrant named Vincenzo Peruggia who worked as a house painter in Paris. 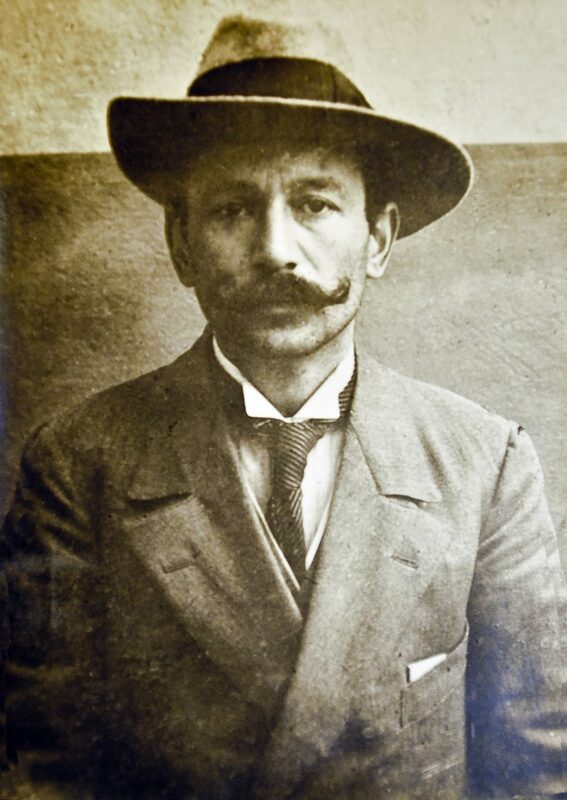 In 1911, Peruggia stole the Mona Lisa from the Louvre and eluded detection for 2-1/2 years until being caught trying to sell it in Italy, country of the painting’s origin. 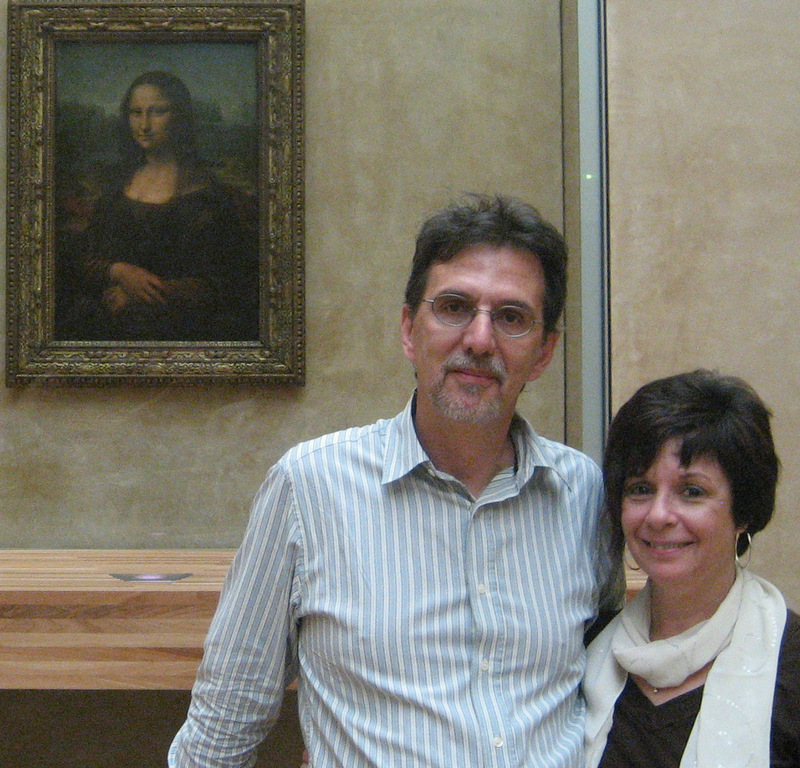 The film, Mona Lisa Is Missing, is riveting despite the fact that we know who stole the painting. The suspense is in the search for Peruggia’s motivation, which Medeiros spent years trying to discover. Written and directed by Medeiros and produced by his wife Justine Mestichelli Medeiros, it also is quite funny, which considering Medeiros background shouldn’t be a surprise — (he was the head writer for The Tonight Show with Jay Leno). The Chicago Ambassador’s Bob Chiarito spoke to Medeiros about the film, which will be shown to the public at 7:30 p.m. Friday at Casa Italia in Stone Park. Writer/Director Joe Medeiros and his wife, producer Justine Mestichelli Medeiros. CA) This was a 30-year quest for you. Why were you so fascinated by the story? MEDEIROS) The fact that that I couldn’t solve the mystery. I wasn’t able to write it as a [fictional] screenplay] but once we started to make the documentary, everything started to fall into place. And I always wanted to know, was he crazy? Did he he do it for patriotism, did he do it for money, did someone commission him? I had all these questions and that’s what kept me at it until I found the answers. CA) Did you ever get the the point where you thought it was over long before it turned out to be over? MEDEIROS) It’s funny, once we contacted Celestina and went to Italy to see her, we interviewed her and then really had our mission. We interviewed her in May and then planned to come back in October of that year and in between that time I had to find out as much about her father as I could. Because we had all these documents that our researchers were able to uncover in the French and Italian archives, we were able to piece together the story. The problem was never that we didn’t have enough, it was that we had too much material and the challenge was how am I going to whittle this down into a film. CA) It’s a fascinating story. Most probably do not know that the Mona Lisa was stolen. Would you say that’s true? MEDEIROS) Yeah. You’d think that with a painting that is that well known that people would be know that part of its history. I don’t know if the Louvre just doesn’t like to talk about it and Peruggia on his surface is not a colorful character. He’s not a Tom Cruise type and it was a rather simple sort of a theft. Now, I always found him interesting because he was a workman and I wondered how did he get away with it. How did a man with little education be able to fool these great detectives and basically get away with it? CA) One of many interesting things that the film points out is that the Mona Lisa is arguably the most famous painting in the world but in 1911, it was not as revered as it is today. MEDEIROS) That’s right. The Washington Post, one of the greatest papers in the country, printed the wrong picture when it was stolen. Without the global communications that we have now, magazines and newspapers were just really experimenting with photography and having images in their publications. People just didn’t know. Going to a museum back then wasn’t something that the average person did. It was really for the elite and the rich. CA) There’s a pivotal scene in the movie where you travel to Italy to meet with his Vincenzo Perugia’s 84-year-old daughter Celestina thinking that you’re going to get a lot of information about him from her, but then she tells you that she really didn’t know him. Were you shocked by that? MEDEIROS) Yeah. We contacted her with the hope that she would shed light. I had been studying this for years and was hoping she knew things that I didn’t and would help me solve the problem about learning his motivation. But it turned out that I knew more than she did about her father. Of course, she knew everything about the family history which I didn’t know. That really fleshed out Peruggia as a human being, but the fact that she didn’t know made me realize that this was going to be harder than I thought. CA) You kinda answered this already, but did you ever think about quitting at any point? 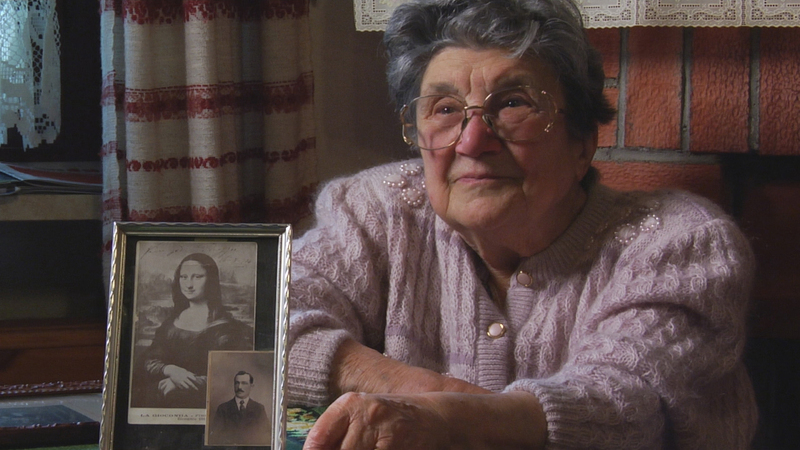 MEDEIROS) Once we interviewed her, we really cared about this woman. She was like my grandmother and my wife’s grandmother. And then once we went to Paris with her son Silvio Peruggia and Florence with her daughter Graziella Peruggia and discovered those letters in the Florence archives, there was no way that I was ever going to quit. Sometimes I wondered how I’d get it done, but I brought in a wonderful editor [Leonard Feinstein] which helped a lot. CA) Besides Celestina not really knowing her father, what surprised you the most while making the film? MEDEIROS) His lead poisoning was something that I didn’t know about until we got the psychiatrist’s report. I thought maybe that was the smoking gun and after talking to experts who said it makes you do impulsive things, certainly stealing the Mona Lisa seemed impulsive to me — I’m sure it contributed to it. And how he was treated by the French, although his employer actually had high regard for him. He was a really a skilled craftsmen and artist. He wasn’t just a guy who whitewashed walls. CA) It was very interesting that once Peruggia was arrested that the Mona Lisa was exhibited in Florence for a week before heading to Rome and handed over to the French Ambassador. And people who couldn’t get in to see it ended up rioting. MEDEIROS) Yes, it was the event of the day. Back then, there were really millions of people who read newspapers and it was the big story of the day, especially in Italy. After that, the Mona Lisa really became a celebrity. CA) I also found the contrast interesting between the Italians in general and Peruggia’s family. Many Italians were proud that the painting was back in Italy, yet Peruggia’s daughter didn’t know her father stole the painting until she was 20 — so to his family, it was a sense of shame. MEDEIROS) Yes, well, it was a crime and he was put in prison. They weren’t a criminal family, they were a family of hardworking craftsmen so this was a real shock to them and why nobody talked about it. Ironically, we found out later that like her mother, Graziella didn’t know until she was 20 also. Mona Lisa Is Missing will be shown tonight. For more information about the free screening, click here.